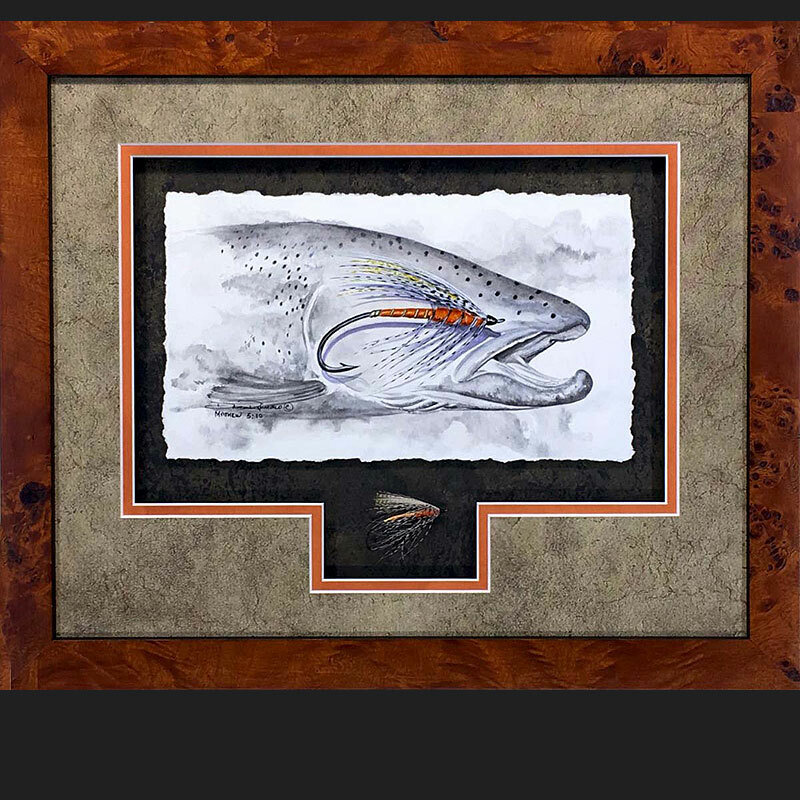 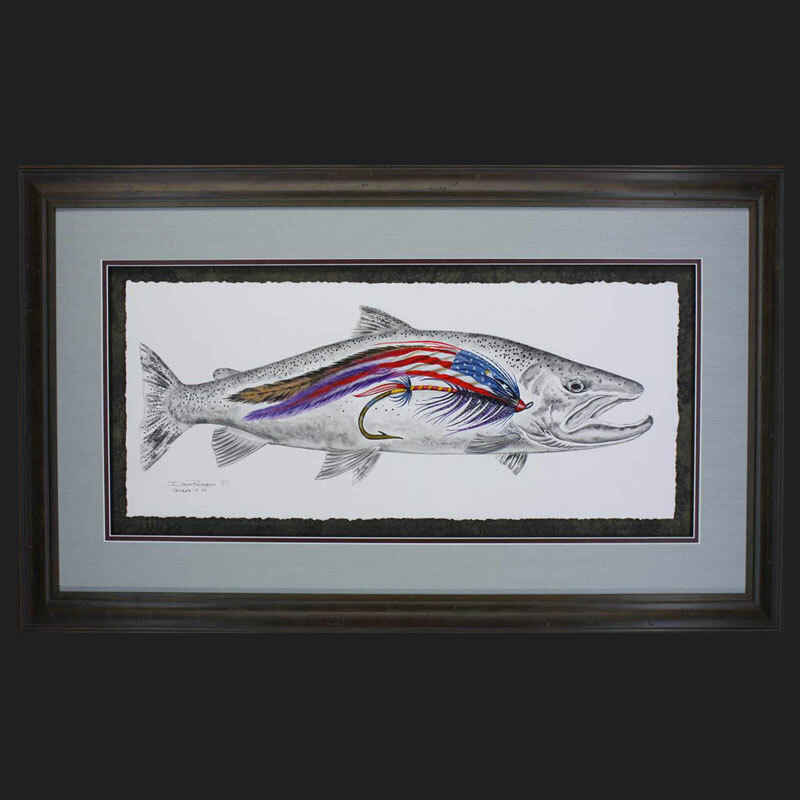 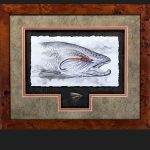 Acrylic painting on watercolor paper featuring an older Atlantic Salmon Fly with a black wash of an Atlantic Salmon in the background. 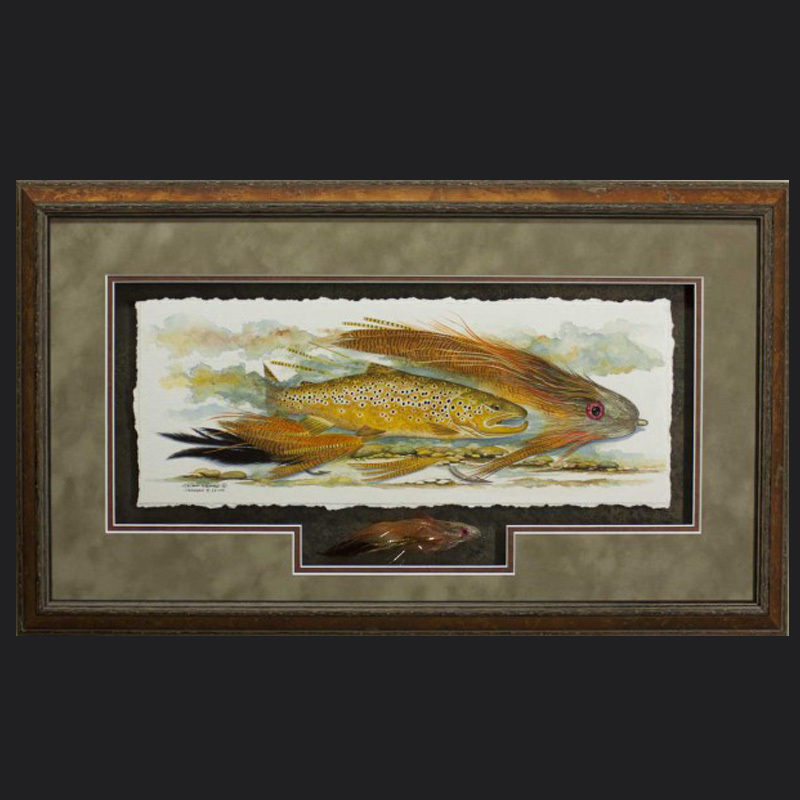 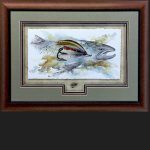 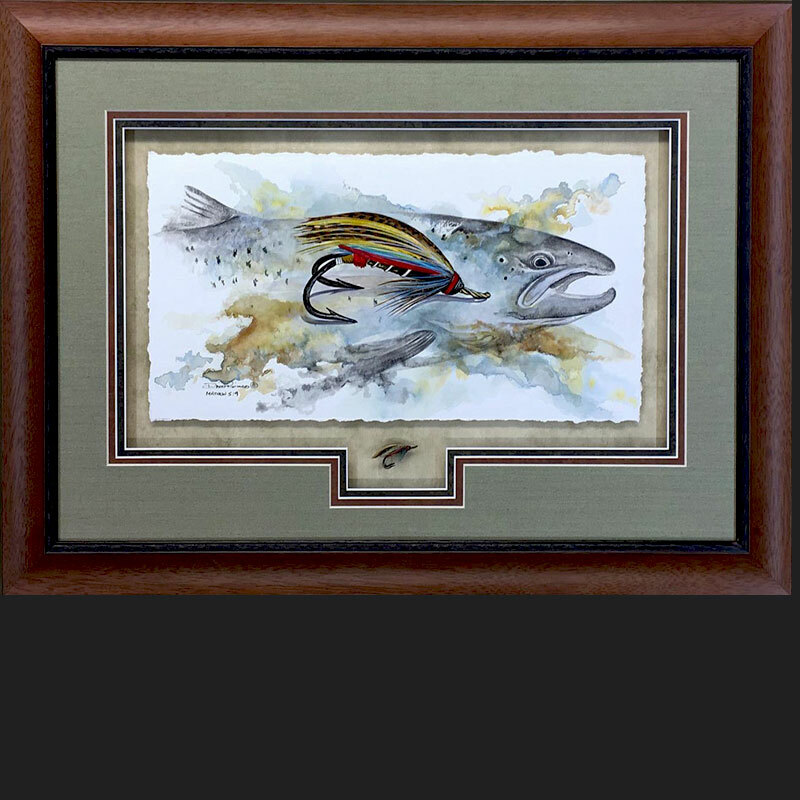 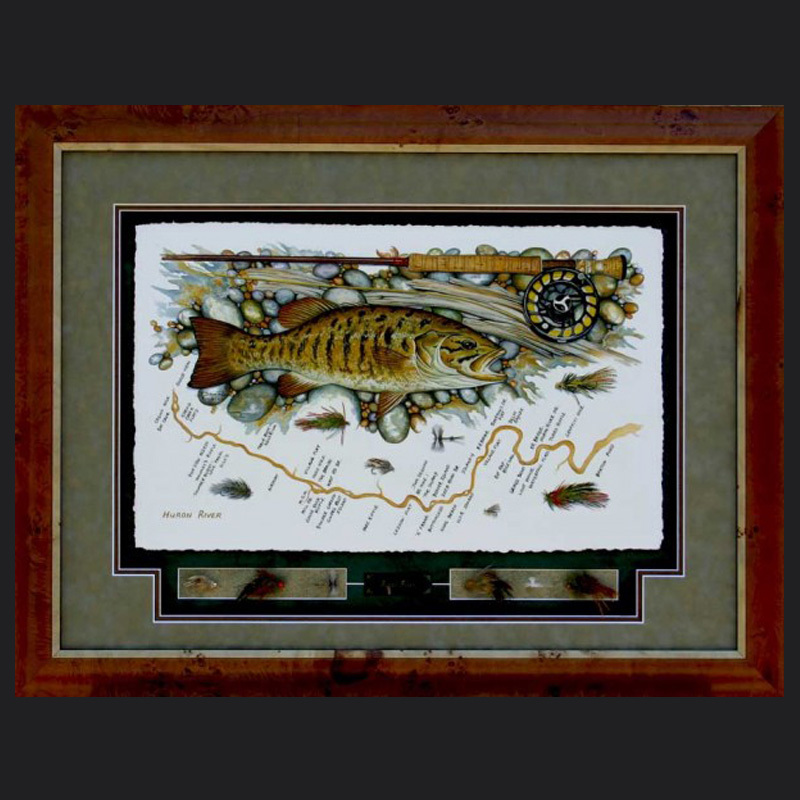 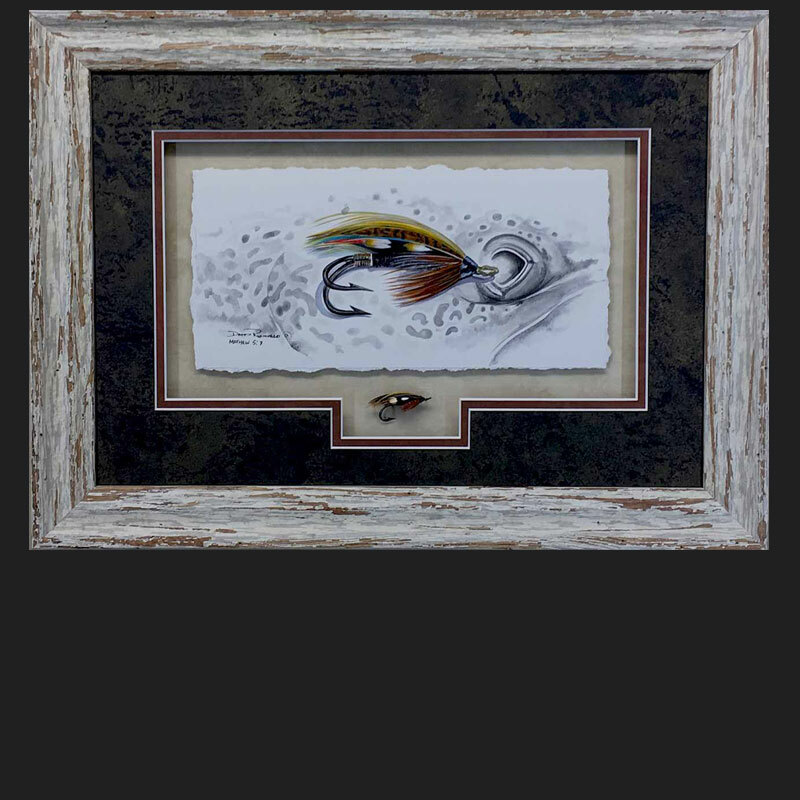 This is framed in a shadowbox style with the torn edge of the paper showing in a shadow box style with the double hooked fly. 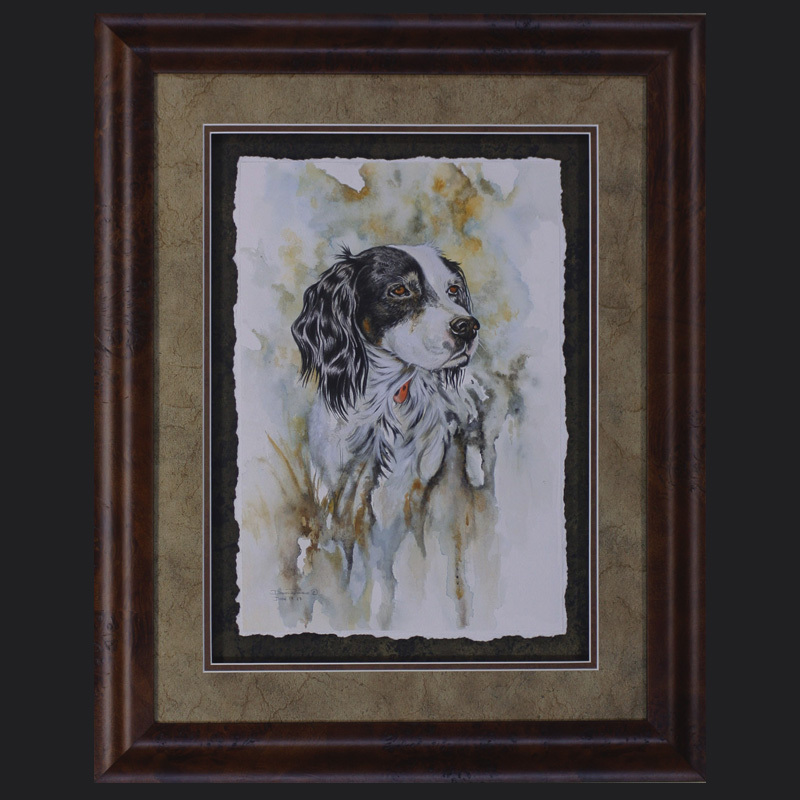 Framed in a white distressed wood with acid free matting and a conservation clear glass. 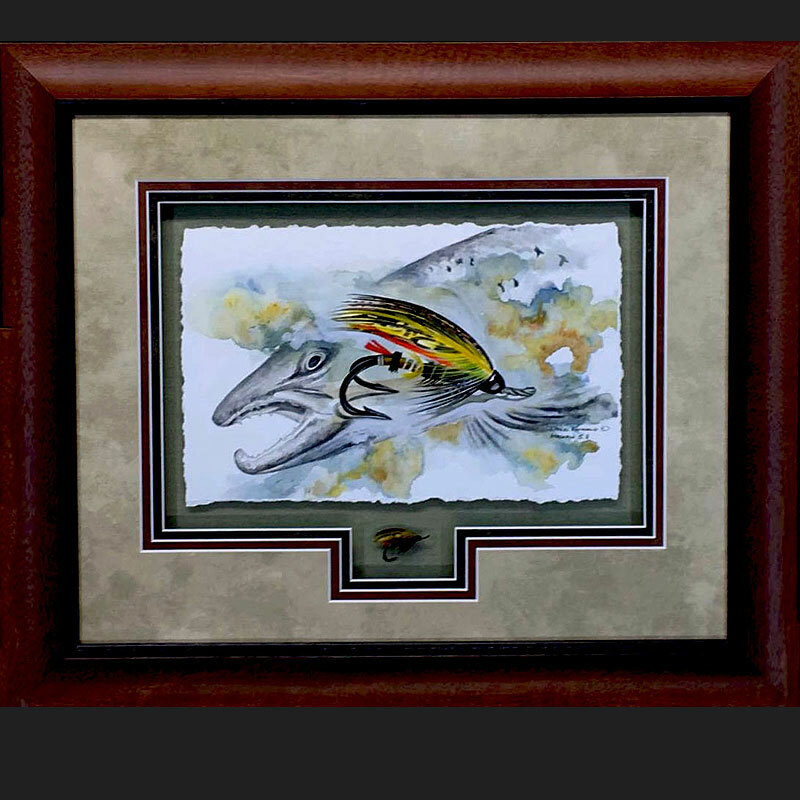 Would you like a small original painting of your favorite fly? 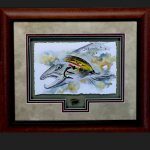 Contact me for details to add to your collection of original works of art.